Real estate sales activity remained steady throughout Victoria and I am very grateful for new, referring and existing clients that have allowed me to help with their real estate needs and wants this year. For those of you that know me this won't be a big surprise but for those of you that don't I would like to explain. I take pride in presenting full service for clients and I've been unable to do this for the last couple of months (that is why there are no active listings showing up) and would like to let you know why. I was given the opportunity to help a friend whose going through some pretty severe medical treatments. I know it sounds funny to use the word opportunity but there is nothing better for the sole than the occasional reordering of priorities and there is nothing better than watching someone deal with a lethal illness for helping to understand that. Of course my friend thinks we are just a bunch of talking monkeys on an organic spaceship flying through the universe...just to keep it in perspective...smile. 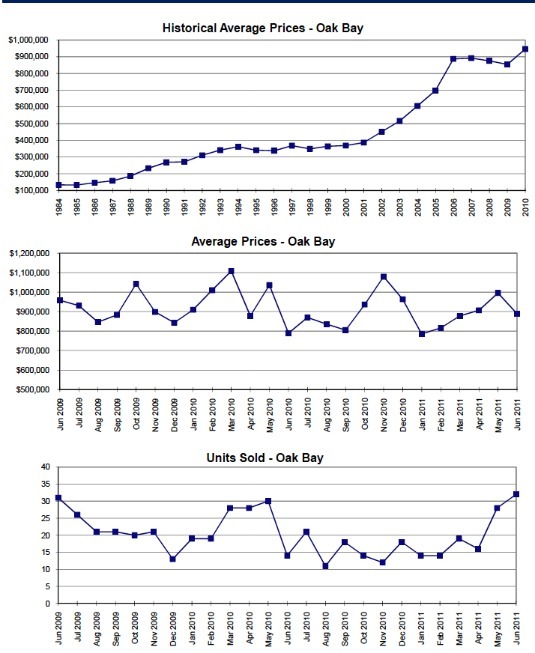 Back to Oak Bay business...below is a graph showing the Historial Average Prices for single family homes in Oak Bay as well as the averages prices from June 2009 to June 2011. This graph comes out every six months from the Real Estate Board and I always find it interesting and thought you might as well. Below are some stats showing the number of sales in Victoria and Oak Bay. 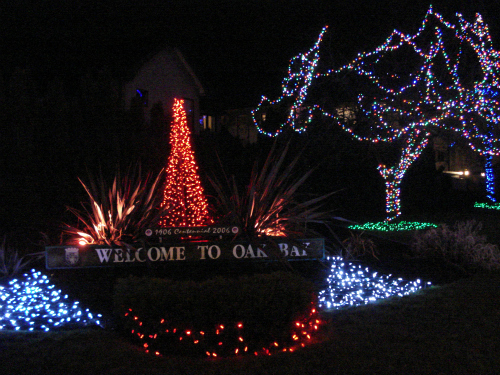 Notice the different price ranges for example the highest priced home in Oak Bay sold between $6 - $6,999,999. this home sold in November. In the Victoria area year to date shows a selling price range between $2,500,000. - $2,999,999. If you are interested in the Victoria Market please read by Market Update page. Wishing you all the best in which ever way you celebrate the Winter Solstice. "With all the strains and worries and fears of the today's world our ultimate saving grace is that we're human beings and we have each other."